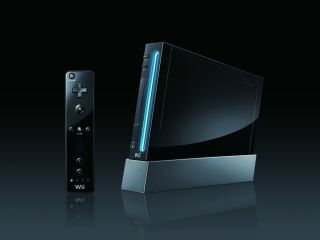 Following Nintendo's announcement of a limited edition black Wii console for Christmas 2009, the company's creative powerhouse Shigeru Miyamoto has indicated that the successor to the Wii is set to have similar functionality, but be even smaller and cheaper. The father of Mario and Zelda commented on the possibilities for Wii 2 in a recent interview with Popular Mechanics. Miyamoto informed them that: "With both the Wii remote itself and Wii Motion Plus, what we've been able to do is introduce an interface that is both I think appealing and at the right price for a broad audience. "And while we don't have any concrete plans for what we'll be doing with hardware in the future, what I can say is that, my guess is that because we found this interface to be so interesting, I think it would be likely that we would try to make that same functionality perhaps more compact and perhaps even more cost-efficient." Interestingly, while Nintendo's marketing strategy for Wii has focused heavily on the importance of 'play', Miyamoto is still keen to stress that videogame consoles are no longer toys. "I think originally video-game systems were viewed as a toy, and they were something you played with," said the Nintendo man. "Whereas now I think we're starting to see a blurring of the lines, where, obviously, the internal guts of a video-game system is essentially a computer, and we're gradually seeing video games moving beyond simply entertainment into other aspects of everyday life." What this might mean for the future integration of Nintendo's DSi handheld with the Wii of course remains to be seen. Nintendo's New Super Mario Bros. for Wii releases on 20 November.